Obituary for Evelyn Smith | Grissom-Martin Funeral Home, Inc.
Evelyn Smith, 98, formerly of the Coburg Community, died Thursday, February 7, 2019 at 1:35 P.M. at The Grandview in Campbellsville. She was born August 26, 1920, in Taylor County, to the late William Lloyd and Ada Perkins Hitch. In addition to her parents, she was preceded in death by her husband; Rufus Smith on July 23, 2005 and by two brothers and two sisters; Jack & Sylvan Hitch, Flora Mae Caffee, Mary Beatrice Smith. 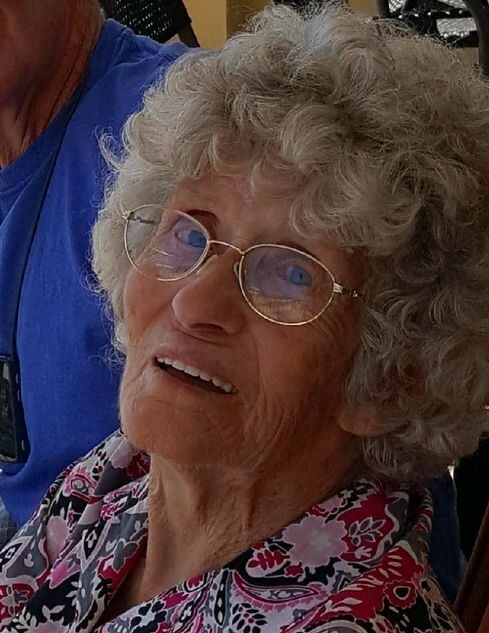 She was a well- known Seamstress, always sewing for somebody, a member of Kellyville Community Church and tried to take care of everybody in the neighborhood by cooking, sewing, providing transportation and just helping anybody she could.